Gaining some weight is the key to catching bass when it comes to deep water fishing, no matter what lure you throw. 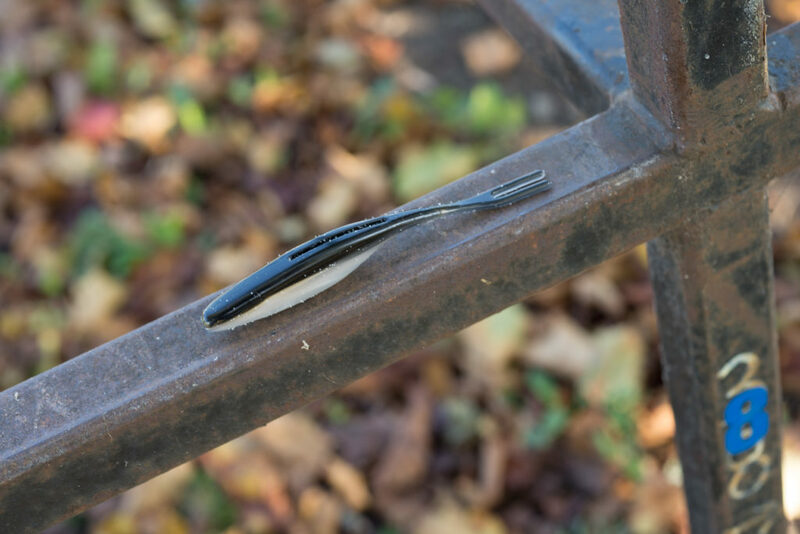 Both soft and hard baits can be worked effectively in deep water if the lures have enough weight to sink to the depth of the fish. Before determining which lures to select for fishing deep, you have to check your electronics to find out if the fish are suspending at a certain depth or hugging the bottom. Choosing lures for tempting deep bass into biting becomes an easier task once you have determined the depth of the fish. 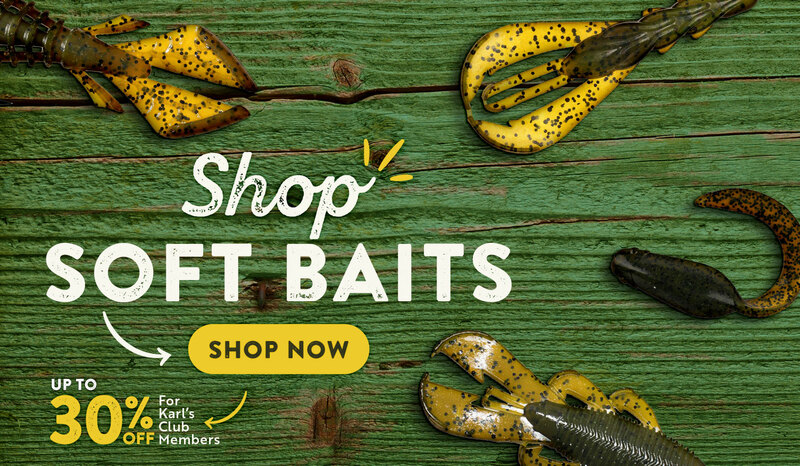 Here are my choices for fishing deep with soft baits and hard baits. The versatility of a soft plastic lure allows me to catch bass from the top to the bottom and any depth in between. 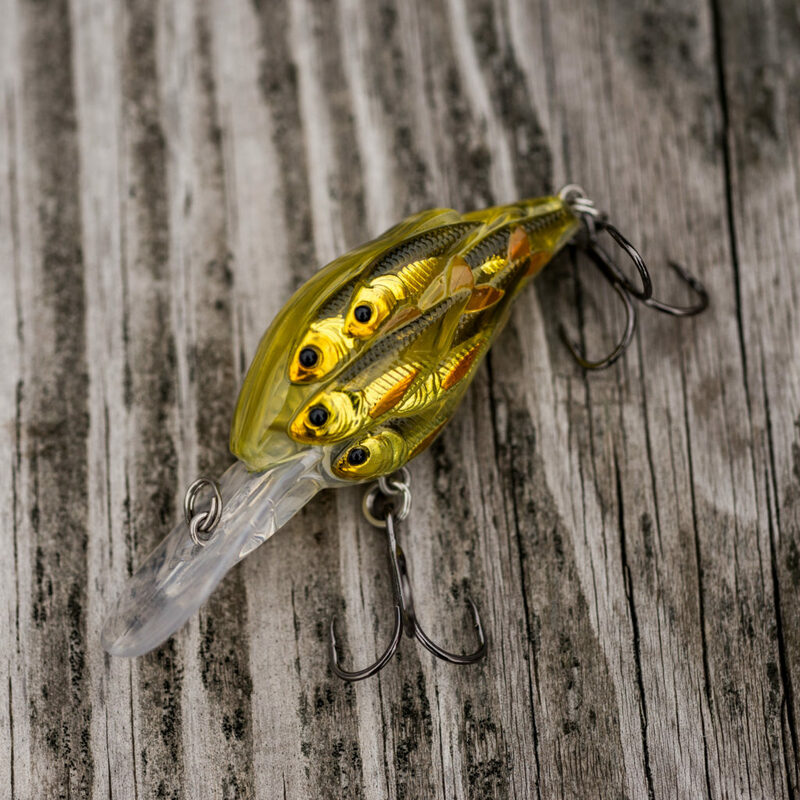 When bass are schooling over deep water and busting shad, a soft plastic jerkbait with a nail weight inserted into the lure’s nose is ideal for catching bigger bass lurking below the baitfish. Texas-rigging a plastic worm with bullet weights ranging from 1/4- to 1/2-ounce lets me probe brush piles for bass holding in depths of 15 to 20 feet. If I need to cover deep water quickly along an extensive point or flat, a Carolina rig allows me to use a variety of soft plastics including plastic lizards, creature baits skirted double-tail grubs and French fry-style worms. A drop shot rig with small finesse worms and minnow-shaped soft plastics is most effective for catching inactive bass suspended slightly off the bottom. Crashing a deep-diving crankbait into brush or the drop of a rocky ledge at depths of 15 to 20 feet triggers reaction strikes from bass holding tight to the cover. A lipless crankbait is a good choice for fishing deep because it can be ran at various speeds to catch bass at different depths or yo-yoed off the bottom for bass at the lowest levels. My favorite hard bait for catching wintertime bass suspended over deep water is a suspending stickbait. I can fish it with a neutral buoyancy to catch lethargic bass at mid-depth ranges or I can add weight to the lure so it sinks down to deeper fish. 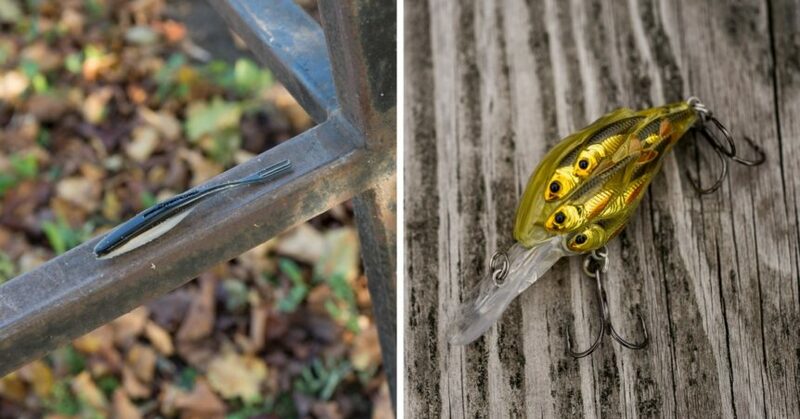 The best hard bait for catching ultra-deep bass is a jigging spoon. I have caught bass vertical jigging this heavy lure as deep as 60 to 80 feet.